In a small skillet, melt butter over medium heat. 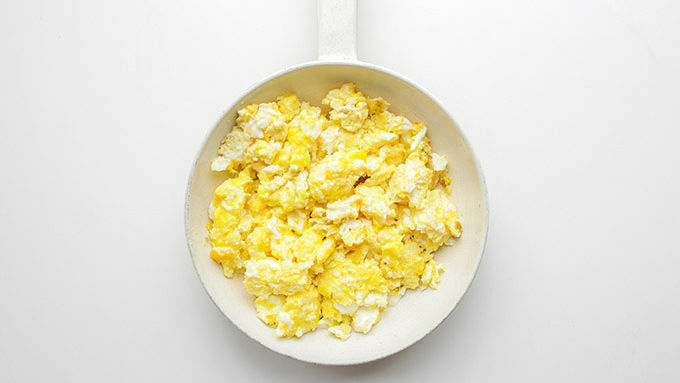 Add eggs and salt, scrambling eggs just until cooked through. Place an egg roll wrapper on a clean workspace. 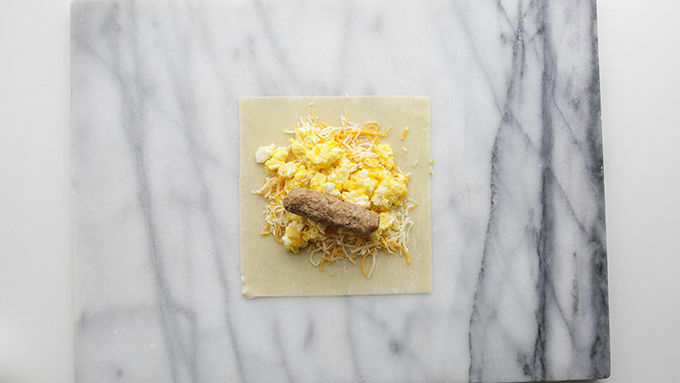 Top with about 2 tablespoons each of shredded cheese and scrambled eggs, plus a sausage link. 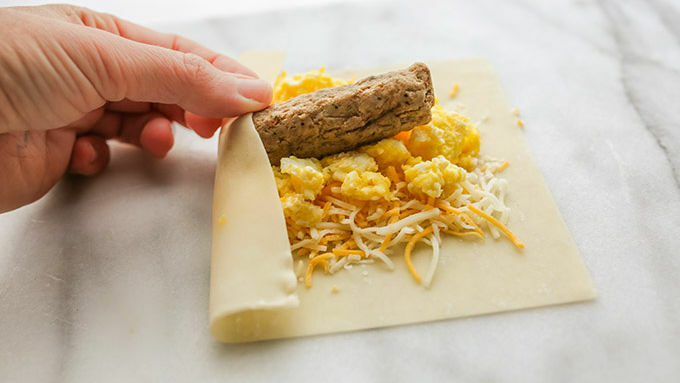 Fold the edges of the egg roll wrapper up over the center, then roll tightly. 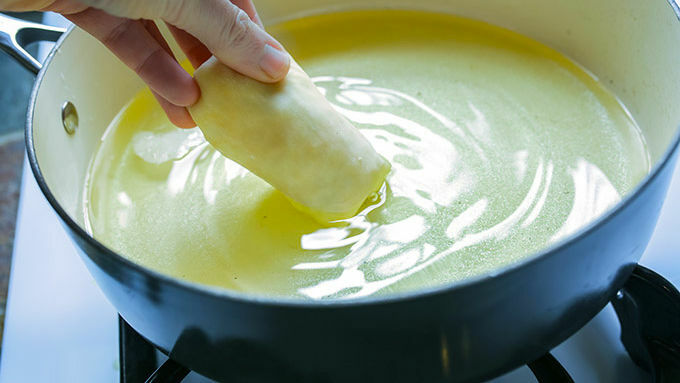 Heat frying oil in a deep-sided skillet over medium-high heat. Fry egg rolls until golden brown on both sides. Transfer to a plate lined with a clean paper towel. Allow to cool slightly before serving. 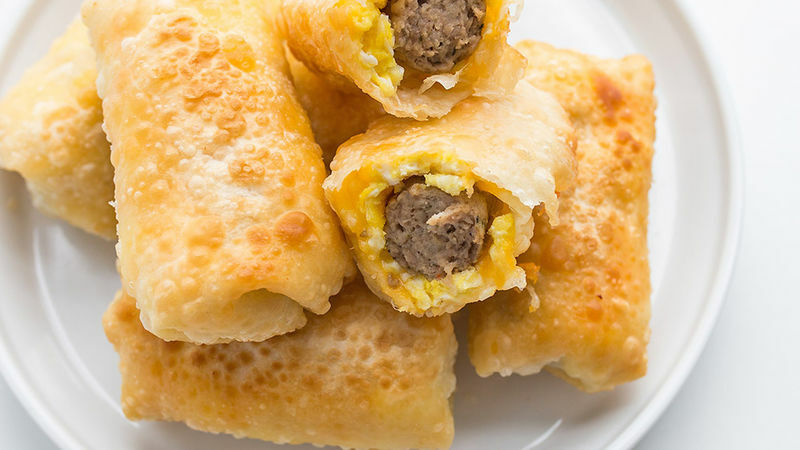 If you haven’t yet had breakfast in egg roll form, you’re missing out! We started with a basic egg, sausage and cheese filling, but this egg roll recipe has endless, and we mean endless, potential. 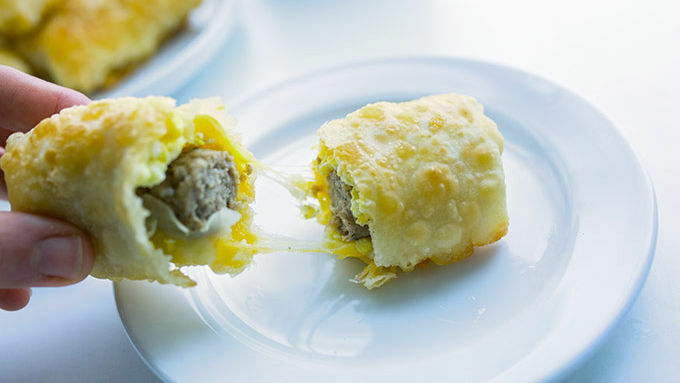 You could swap Cheddar cheese for pepper Jack and the sausage links for chorizo sausage to add some heat to breakfast. You could also swap the links for bacon or enjoy your egg roll with both bacon and sausage! Other fillings could include onions, red or green peppers, or green chiles. Start basic and go big—that’s our motto; and we took it to heart with these breakfasts, too.